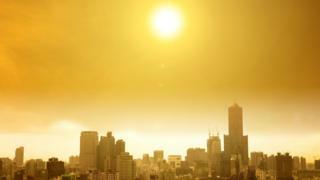 “This report makes it very clear that the impacts of climate change are accelerating,” said Prof Samantha Hepburn who is director of the Centre for Energy and Natural Resource Law at Deakin University in Australia. “This report highlights the increase in the rate of sea-level rise, and this is a real concern for those living in low-lying coastal areas, for both developing and developing countries,” said Dr Sally Brown, a research fellow at the University of Southampton. Hurricane Florence and Hurricane Michael were just two of 14 “billion dollar disasters” in 2018 in the US. “Extreme weather has continued in the early 2019, most recently with Tropical Cyclone Idai, which caused devastating floods and tragic loss of life in Mozambique, Zimbabwe and Malawi. It may turn out to be one of the deadliest weather-related disasters to hit the southern hemisphere,” said WMO Secretary General Petteri Taalas. “There is no longer any time for delay,” he wrote in a foreword to the new study.